In 2007 we acquired and successfully integrated Garden Systems into the ECP Group portfolio with the aim of offering our clients a full range of services from sinking new wells, drilling new boreholes, to the reinstatement and restoration of existing private water supplies, installation of suitable pumping and water treatment equipment and the design of a fully automated garden irrigation system. If you are uncertain of what equipment you require for your garden irrigation system, then simply send us a plan of your garden or area to be irrigated and we will work out what you need, it really could not be any easier. It does not have to be an elaborate plan; a simple hand drawn sketch will suffice showing dimensions and areas to be irrigated. Remember to highlight where the incoming mains is and the nearest electrical sockets. We will then design free of charge a garden irrigation system that will meet with your requirements. A list of equipment with a plan will be provided on the proviso that the equipment is purchased from us. It is important to establish the water pressure on site ensuring that it is neither too high nor too low for the irrigation system to function correctly. We can then supply the necessary fittings to either decrease or increase the water pressure. Please contact us for further advice should you run into any problems. Over the years we have expanded our product range from a few simple items such as pot watering systems ideal for hanging basket irrigation to the extensive range on offer today and have concentrated on keeping it simple and thereby making it easier even for the DIY enthusiast. We have also produced a variety of garden irrigation assembly plans which you may find useful when installing your irrigation system. Drip for Beds, Borders and Containers – a simple and efficient method of effectively watering your shrubs, beds, borders, containers and hanging baskets. No waste of water, low humidity, fewer weeds and incredibly discrete. Drip irrigation provides an effective way of getting water to where it is required with fixed and adjustable output drippers. Drip watering uses the soils ability to distribute water by capillary action. The distance it travels will depend on the soil type. For a majority of installations this will be 500mm either side of the drip pipe, so the lines need to be spaced 1m apart. We are agents for the genuine porous Leaky Pipe, the simplest choice for drip irrigation. Made from recycled rubber it is totally porous and has no concentrated water spots. It is robust, long lasting and has an even output. Requires no drippers or emitters so is simple and quick to install. Ensure that it is installed buried just below the soil surface, or is covered with a mulch; leaving it uncovered and open to the elements will destroy the surface and structure of the Leaky Pipe. Leaky pipe is ideal for established and newly planted beds and borders. Pop Up Sprinklers – install and forget. 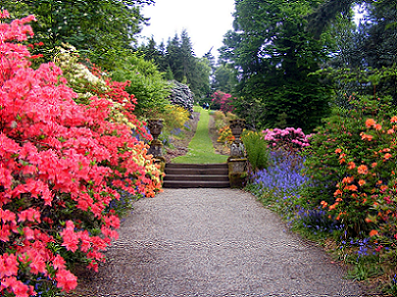 Garden sprinkler systems are mainly for large lawn areas; however, borders can also be incorporated. Be amazed as from nowhere the pop-up sprinklers appear and water the lawn. They are far more efficient than movable sprinklers and ideal for automatic systems. For a limited garden water supply, the garden will have to be divided into zones, which come on sequentially making certain that all areas are covered. Sprinklers – we offer a vast range of garden irrigation sprinklers to cover every eventuality from mini sprinklers, Hozelock equivalents, micro sprinklers, oscillators and brass sprinklers, a sprinkler for every situation. They are ideal for densely planted and established boarders. They produce a fine gentle spray making them perfect for freshly sown areas. Available in various kit forms, please see our webstore for the full range we have on offer. Greenhouse and Polytunnel Watering – all your polytunnel and greenhouse watering equipment from overhead, bench and mist watering to enhance and ensure regular watering to maximize your yields. Don’t worry, if you are uncertain of your needs simply send us a plan of the greenhouse or polytunnel and we’ll work out your requirements for you. Remember to include the size of your polytunnel or greenhouse, areas you wish to irrigate, position of the water source and available water pressure. A list of greenhouse watering equipment with a plan will be provided on the proviso that the equipment is purchased from us. Control Equipment – In order to make the best use of your irrigation system’s efficiency, watering should be regular and sufficient. With our automatic watering systems you will never forget to switch the water on or off and which can also discreetly be done whilst you are asleep. When you are away on holiday, the system will automatically switch itself on and off at preset times. Battery and mains operated controllers are available. Plant Control Irrigation – we love these devices as they provide plants with just the precise quantity of water required. They do not rely on electricity or batteries; as the compost dries out more water is applied. With a suitable reservoir they can be set up for extended periods, ideal for when you are away on holiday. No longer will you need to ask a neighbour to water your garden, with one of our automatic watering systems in place you can be rest assured that you garden and plants will be kept watered whilst you are relaxing and enjoying that well-earned holiday. Still in doubt of your requirements, all enquiries are genuinely welcome from simple pot watering to a more extensive automatic watering system so please don’t hesitate to contact Garden Systems. Please visit our webstore for Garden Systems and ECP Group and see the numerous irrigation kits we have on offer.